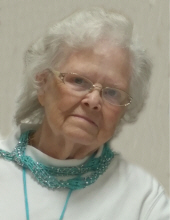 Betty C. Davis, 82, of Chenoa, IL formerly of Pontiac, IL passed away at 10:20 pm on Thursday, January 10, 2019 at OSF St. Joseph Medical Center in Bloomington, IL. A memorial gathering will be held at 6:00 pm on Saturday, January 19, 2019 at River of Life Outreach in Meadows. Memorial contributions may be made to a charity of the donor's choice. Calvert & Martin Funeral Home in Pontiac is handling arrangements for the family. Betty was born January 8, 1937 in Knoxville, TN a daughter of Marion Thelma (Looney) McCoy. She is survived by one son: Phillip Risen of Pontiac, IL; four grandchildren: Derek, Kyle, Anthony, Caitlin; five great grandchildren: Malachi, Sam, Nathan, Chloe, and Jackson; three sisters: Loretta (Bob) Hodge of Meadows, IL, Florence Chastian of Missouri, and Melinda (Richard) Hatfield of East Peoria, IL; and many nieces and nephews. Betty was preceded in death by her parents and her sisters: Golda LaRue, Helen Kirby, Faye Simar, and Frieda Carman; her brothers: Bill, Earl, James, Ralph, and Albert McCoy. Betty was educated in Tennessee schools. She worked in the factory at Seibert's in Chenoa. She liked working puzzles, fishing, and the color purple. Betty loved spending time with her family. She was a loving mom, grandma, great grandma, sister, and aunt who will be greatly missed. "Email Address" would like to share the life celebration of Betty C. Davis. Click on the "link" to go to share a favorite memory or leave a condolence message for the family.